A degree of pelvic pain and / or dysfunctional uterine bleeding. Secondary Condition: Diminished libido and energy levels due to testosterone deficiency post surgery. Potential of osteoporosis due to estrogen and testosterone deficiency. Ovarian cancer, severe endometriosis, non-ovarian cancers stimulated by estrogens/androgens. With removal of the ovaries comes diminished libido and energy levels due to testosterone deficiency post surgery. Research has concluded that administering testosterone is effective in restoring the libido in women who have had an oophorectomy. Progesterone supplementation is essential to prevent the effects estrogen dominance. Testosterone supplementation is essential to the quality of life and relationships if diminished libido and sexual function result for ovarian removal. Who is not a good candidate for hysterectomy? Why do I need hormone supplements after surgery? 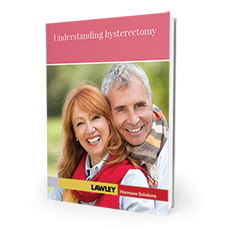 How do I prepare for hysterectomy?